The So you want to become a Family Law Mediator? 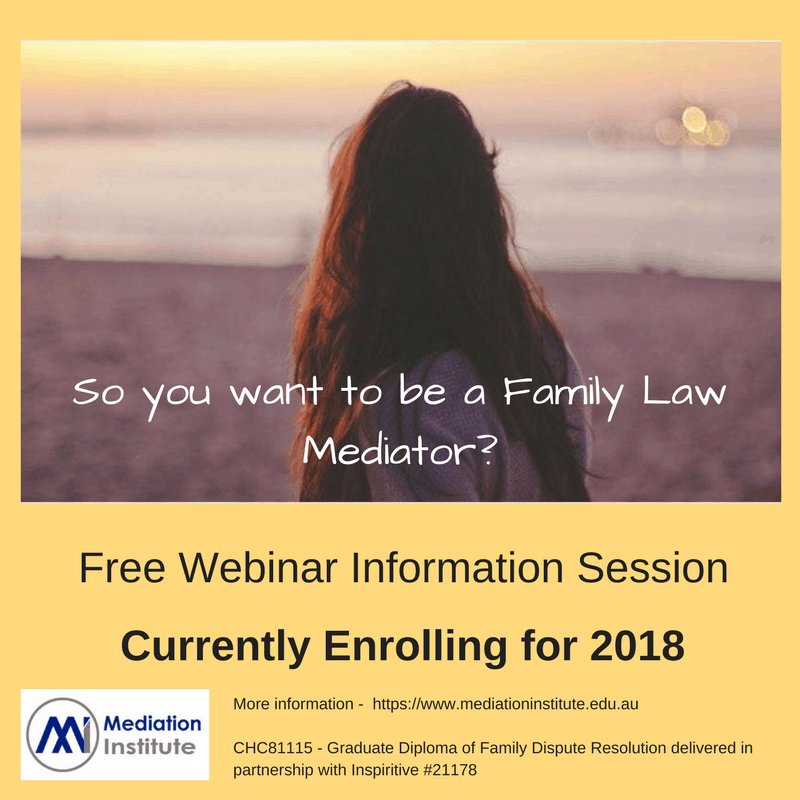 Webinar is for you if you have been considering becoming a Family Law Mediator, in other words, a Family Dispute Resolution Practitioner. the training options: do you need the full qualification or will the core units do? Recognition of prior learning: what can and can’t be considered for credits? Pre-requisite qualifications: what do you need to be able to enrol? Course content, duration and delivery mode: how does flexible, online delivery really work? What to expect: what makes this course different and better? Work placement: why you shouldn’t short change yourself on work experience! Course cost and payment options: where there is a will, there is a way. If you are interested in this important and rewarding career come along and find out more.